Our stainless steel threaded rods or threaded bar are made from high quality AISI 316 or AISI 304 grade stainless steel. Miami Stainless threaded rod is specifically designed for general purpose fixing and shade sail applications. Rod is available in M6 to M24 and are supplied in 1 metre lengths which can be cut to suit your project. To compliment our threaded rod stock we have our in-house designed Ezi-Hold Dee Ring With Pipe. 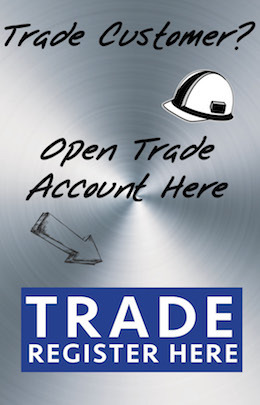 We also stock toggle bolt heads that can be used with a custom cut threaded rod to suit any project. 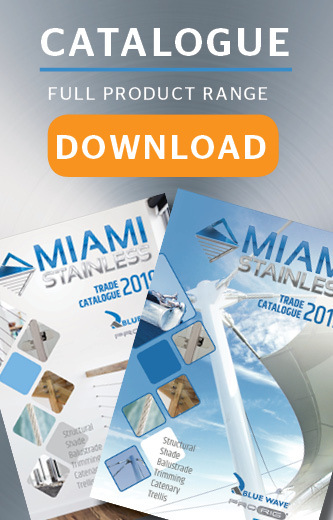 Miami Stainless stocks a huge range of shade sail brackets and hardware. We also have a selection of corner discs, nuts, wire rope, washers and rafter brackets to suit all sizes. Connector M10 AISI from Blue Wave The Blue Wave range of connectors are used to join tie bars t..
Connector M12 AISI from Blue Wave The Blue Wave range of connectors are used to join tie bars t..
Connector M16 AISI from Blue Wave The Blue Wave range of connectors are used to join tie bars t..
Connector M20 AISI from Blue Wave The Blue Wave range of connectors are used to join tie bars t..
Connector M24 AISI from Blue Wave The Blue Wave range of connectors are used to join tie bars t..
Connector M6 AISI from Blue Wave The Blue Wave range of connectors are used to join tie bars to..
Connector M8 AISI from Blue Wave The Blue Wave range of connectors are used to join tie bars to..
Threaded Rod 20mm AISI 304 PER METRE Miami Stainless 20mm Threaded Rod is made from high qua..
Threaded Rod 6mm AISI 316 PER METRE Miami Stainless 6mm Threaded Rod is made from high quality A..
Threaded Rod 8mm AISI 316 PER METRE Miami Stainless 8mm Threaded Rod is made from high quali..
Threaded Rod 10mm AISI 316 PER METRE Miami Stainless 10mm Threaded Rod is made from high qua..
Threaded Rod 12mm AISI 316 PER METRE Miami Stainless 12mm Threaded Rod is made from high qua..
Threaded Rod 16mm AISI 316 PER METRE Miami Stainless 16mm Threaded Rod is made from high qua..
Threaded Rod With 2 Nuts & 2 Washers 16mm x 247mm AISI 304 Miami Stainless 16mm x 247mm Thre..
Threaded Rod With 2 Nuts & 2 Washers 20mm x 297mm AISI 304 Miami Stainless 20mm x 297mm Threaded..